Wonder Packagings is engaged in designing and supplying a vast array of Double Face Satin Ribbons. These ribbons are designed with help of modern techniques with messages as per your requirement. They are beautifully printed with good wishes. We can use different colors and font styles to convey your massage. Double Face Satin Ribbons are used for wrapping gifts boxes in corporate sectors and offices are available in different widths and colors as per clients' demands. Wonder Packagings is engaged in designing and supplying a vast array of Fancy Satin Ribbons. These ribbons are designed with help of modern techniques with messages as per your requirement. They are beautifully printed with good wishes. We can use different colors and font styles to convey your massage. Fancy Satin Ribbons are used for wrapping gifts boxes in corporate sectors and offices are available in different widths and colors as per clients' demands. Wonder Packagings is engaged in designing and supplying a vast array of Single Face Satin Ribbons. 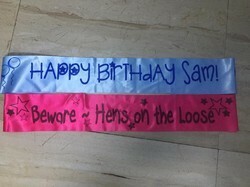 These ribbons are designed with help of modern techniques with messages as per your requirement. They are beautifully printed with good wishes. We can use different colors and font styles to convey your massage. 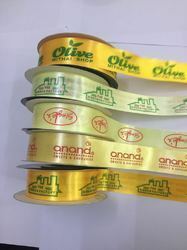 Single Face Satin Ribbons are used for wrapping gifts boxes in corporate sectors and offices are available in different widths and colors as per clients' demands. 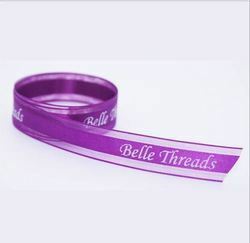 We are engaged in designing and supplying a vast array of Decorative Satin Ribbons. These ribbons are designed with help of modern techniques with messages as per your requirement. They are beautifully printed with good wishes. We can use different colors and font styles to convey your massage. Decorative Satin Ribbons are used for wrapping gifts boxes in corporate sectors and offices are available in different widths and colors as per clients' demands. Looking for Satin Ribbons ?